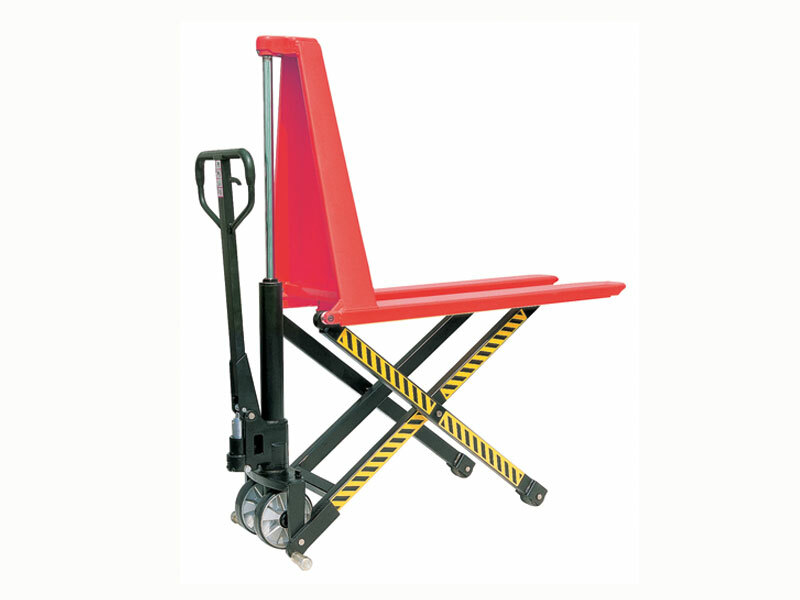 What is the purpose of the High Lift Manual Pallet Truck? The High Lift Manual Pallet Truck is a great piece of equipment that allows employees to lift heavy and bulkier items without causing as much risk to themselves or others. They are able to lift heavier items without worrying about their health, e.g. back problems, etc. 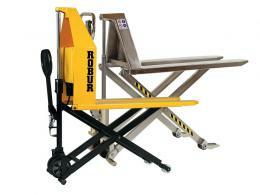 Where can the High Lift Manual Pallet Truck be used? 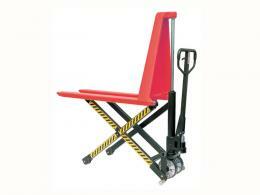 The High Lift Manual Pallet Truck can be used in a number of workplaces, including; warehouses, construction sites and busy parcel companies. They can also be used where heavy lifting is required and a simple pallet truck is the most effective way to carry this out. 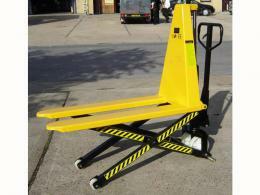 Who might use High Lift Manual Pallet Truck? The High Lift Manual Pallet Truck should be used by all employees who may need to carry heavy products, in a short space of time. This product allows them to do this safely and encourages employees to use resources that allow them to get the job done quicker. The High Lift Manual Pallet Truck can lift up to 1500kg, the length of the forks are 1170mm and also automatically brakes when raised to 400mm. This product also comes with a 1 year labour/parts warranty.